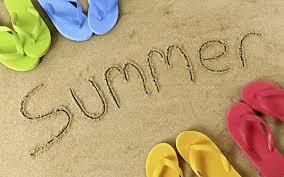 In the summer months, TALK Miami Beach sees many family groups enrolling for English courses, thus making their holiday in South Florida a vacation, but a study vacation. The school assists with directing their students towards the activities and excursions in which they have expressed interest. TALK will help students select reliable quality touring companies, guides, and self-drive opportunities. It is a really fun time for the school when vacation, leisure and sightseeing activities form the backdrop for the students’ learning activities. Paddle Boarding. www.miambeachpaddleboarding.com is another popular activity, which allows you to paddle along the ocean and the Intracoastal and take in the fabulous mansions and landmarks that line the coast. Island and Nature Tours. There are so many trips you can make to the beautiful sunny tropical islands of the Bahamas, the Keys for sun and fun, as well as visits to the Everglades and Jungle Island for those interested in the flora and fauna of this exotic destination. Be sure to speak to your staff and teachers at TALK Miami Beach for more details about these great August Activities and summer excursions.